“Hi, my name is Ray. I’m a weight weenie.” This is how our conversation begun. Ray has decided to shave some more weight of his bike by cutting off the cable stops and run cables internally. However came to London Carbon Repairs in order to attach three cable stops back on. 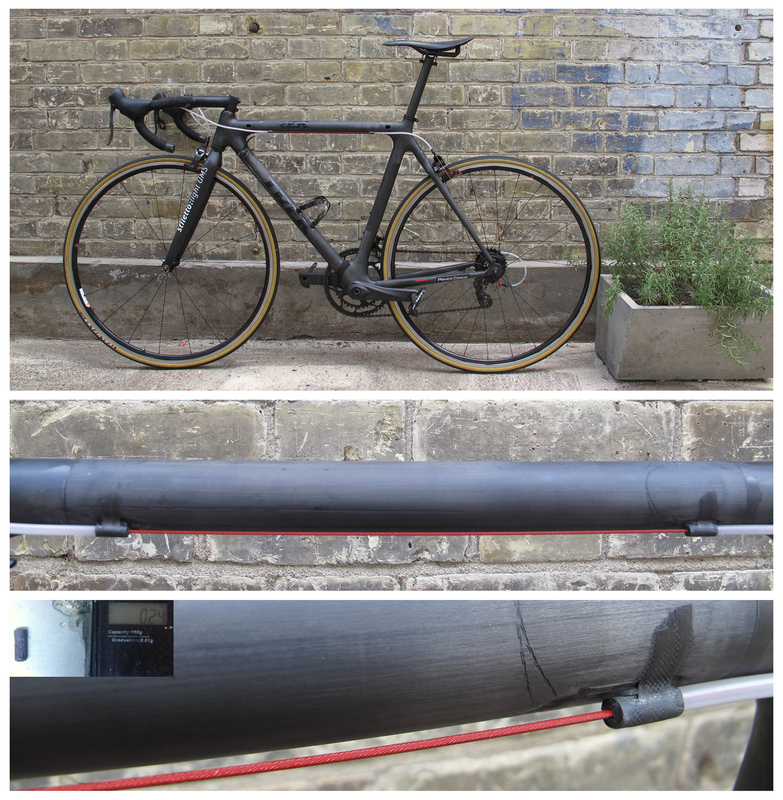 In the studio of London Carbon Repairs we have manufactured carbon fiber cable stops and bonded them back on the frame in the same place, where Ray cut them off before. This time, our goal wasn’t aesthetics. Our goal was to make it as light as possible and to make sure that it will last forever. At the end of the project all three cable stops including bonding compound, resin and carbon fiber weighed 1.07g. Soon Calfee will provide Ray with a custom carbon fiber stem of 17 degree which will bond to his Zipp drop bars in order to make bars/stem combo. After that – saddle/post combo. So, stay tuned as some exiting stuff might come out of London Carbon Repairs studio.